Right after checking out a subdivision lot in Malolos he's paying for for quite sometime now, Tutubi, before heading back to Manila, turned right under the flyover to Paseo de Congreso that will be his usual sidetrip to a historic place in Malolos, Bulacan. 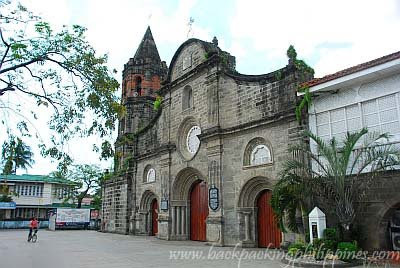 When they got to the destination, his mommy recognized the facade of the church they saw as the one featured on the old ten peso bill: Barasoain Church. 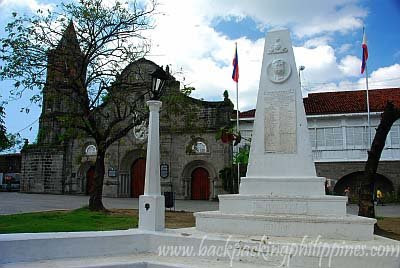 About 2 kilometers from Malolos crossing stands the historic Barasoain church, the site where the Malolos Congress inaugurated on September 15, 1898 with Pedro Paterno as president and drafted the Malolos Constitution (chiefly by Felipe Calderon). The Malolos Constitution was ratified on January 21, 1899. This piece of history is the foundation of the first constitutional republic in Asia. The First Philippine Republic was formally established on January 21, 1899, in Malolos, Bulacan, and ended abruptly when Gen. Emilio Aguinaldo was captured by the Americans, aided by Macabebe scouts, in Palanan, Isabela on March 23, 1901. Later events led to the Americans taking over the country and transformed itself from "Land of the Free" to a "land of enslavers," from a Nation to an Empire in order to realize their "manifest destiny" through the use of benevolent assimilation. 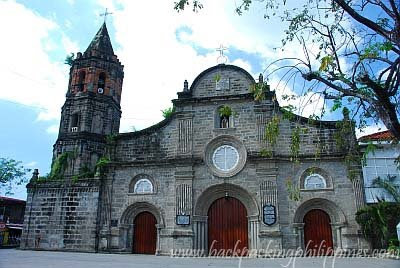 Barasoain Church was also the site of the inauguration of the short-lived presidency of Joseph Estrada who was ousted during the so-called EDSA Dos and ushered in the reign of PGMA. Beside Barasoain Church is the Barasoain Ecclesiastical Museum but Tutubi wasn't able to enter since it was a Monday, the usual day when museums in the Philippines are closed. In front of the historic edifice is a patio and plaza with a monument of Gen. Emilio Aguinaldo, the first president of the Republic of the Philippines. Driving directions to Malolos: From Makati, head towards EDSA then proceed to NLEX and take Tabang Exit (the exit immediately after the Shell gasoline station). The road (Manila North Road) will pass by Guiguinto then Malolos after a straight drive. When you reach the flyover at the so called Malolos Crossing, choose Ilalim to turn left to Paseo de Congreso where Barasoain Church is about 10 minutes from Crossing. Ample parking space available at the patio in front of the historic church. I've always wanted to visit this church. Thanks for featuring this. very interesting tutubi because last year i was actually targeting to visit all the places featured on the philippine peso bills. it's nice to see you feature it here. i think it was four years ago when i last visited this historical church. the dong, i also featured the P1000 bill here...have you seen malacanang palace? Hey, that is one great piece of church architecture. This is so nice! maski locally made in the Philippines, panalo pa talaga!